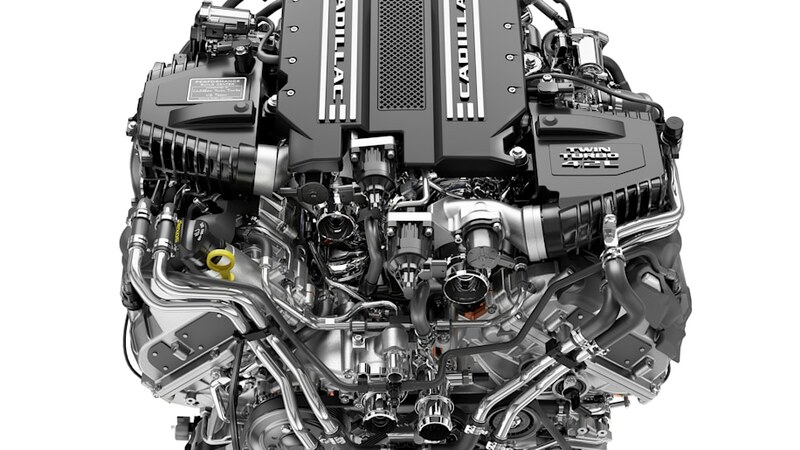 Twin-Turbo V8 to be Cadillac Exclusive? The 4.2-liter V8 cranks out 550 horsepower and 627 pound-feet of torque in the Cadillac CT6 V-Sport, which debuted at the show. With that kind of performance and the fact the engine will be hand-built at the General Motors Performance Build Center in Bowling Green, Ky. — at the Corvette factory — led enthusiasts to presume the engine would eventually be under the Vette’s hood. The surprises me. We do think the mid-engine Corvette and Cadillac have a TT DOHC V8 as well. I am unclear how it makes sense to have two new TT DOHC V8 engines.